Regardless of where you’re traveling, why, or with whom, your smartphone will be going with you. Because mobile devices like smartphones and tablets go with us, no matter what, there are some very important travel hacks, including finding the most powerful portable charger, that can make all the difference to your convenience or frustration level while you’re away. Pew Research Center data shows that almost two out of every three Americans is a smartphone owner. Moreover, Pew’s data also says that nearly half of all Americans own a tablet. When traveling, we don’t like to leave those devices behind. Just as you wouldn’t go anywhere without packing your toothbrush and spare pairs of underwear, your smartphone is something you won’t leave home without. That said, while your toothbrush can be used as many times as you want, your mobile devices do have a limited battery life. To overcome that problem, you’ll want to pack the most powerful portable charger you can find, not just any little battery pack. 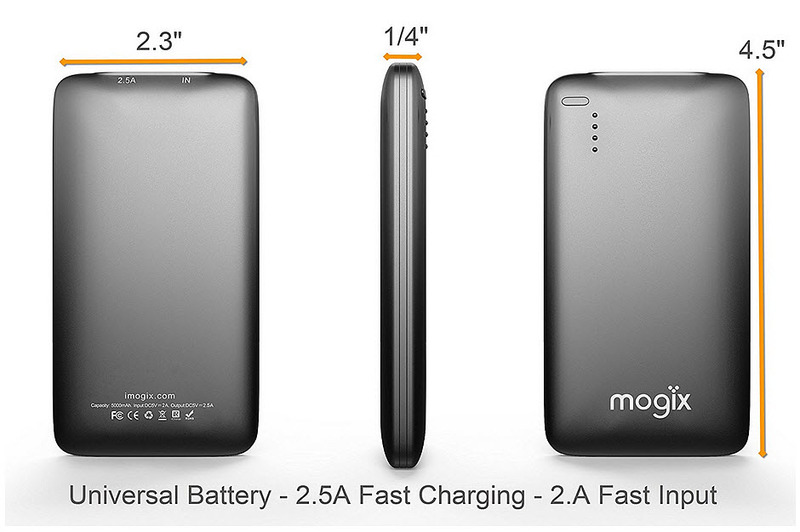 Having the most powerful portable charger means that, no matter the delays you face, you’ll still have enough battery. • Connect to WiFi when you can – tons of airports, restaurants, coffee shops, train stations and malls offer free WiFi. Use that whenever you can so you can shrink your data usage. • Download music playlists and movies – do this before you leave. That way, you don’t have to rely on data or WiFi for the entertainment you want (and need) while you’re stuck in airplane mode, don’t have a connection, or don’t want to pay an arm and a leg for roaming data. • Roam wisely – if you are going to be traveling a lot – particularly internationally – it might be worth your while to investigate plans that are designed for usage outside the US. You can choose options specific to other countries to which you’ll be traveling regularly, or you can find a plan that will cover lots of different places so you’ll have affordable service no matter where you go. • Keep your power bank charged – don’t forget that even if you have the most powerful portable charger out there, you have to juice it up before you go!